Most people have a love-hate relationship with their gym -- they love being there, but hate going. There are a lot of great reasons to hit the gym, but not everything that happens there has a good impact on a person. 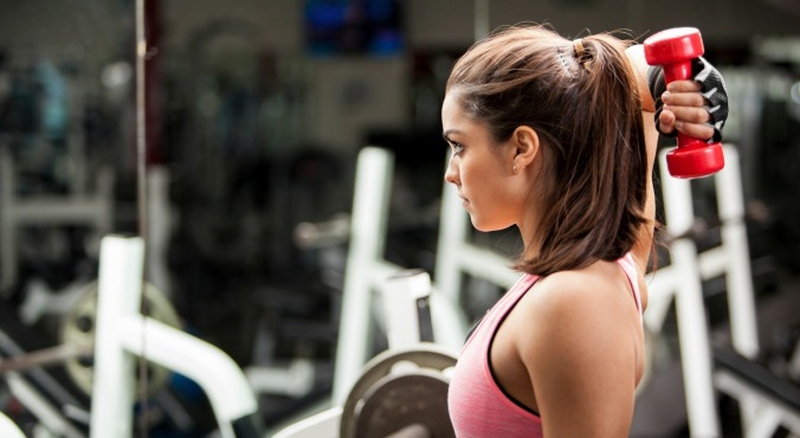 Here are 15 things that everyone hates to have happen while at the gym. I don’t get why people think you can carry out a conversation as you’re doing squats or push-ups. It’s loud and obnoxious to constantly hear people dropping weights. If you’re the one doing the dropping, then I would suggest lighter weights next time. It’s just gross and rude. They provide sprays and towels for a reason. Sure the gym has its funny smells, but catching a whiff of body odor or someone’s gas as you’re panting on the treadmill still isn’t pleasant. Seriously, what woman does her makeup before the gym? There’s nothing quite as scary as dropping your phone or towel while running on a treadmill. Then, you have to stop your workout to pick up your items that shot across the room. How embarrassing. Everyone has their favorite machines, but hate having to wait all night to use them. Leaving the gym without completing the regular routine just isn’t an option either. I guess throwing up is a sign of an intense workout? Nothing wrong with that, except everyone staring in disgust. Not only is it painful, but now you’ll have to put the gym on hold for awhile. This may be one of the most uncomfortable things to happen mid-workout. Having gas at the gym is enough to put a hold on anyone’s workout for the day. It’s always scary to get that light-headed feeling you get after doing a bunch of cardio. I couldn’t imagine how it would feel to actually pass out on a treadmill. You’re at the mercy of gym music when your own device dies mid-workout. You remembered your card, iPod, towel, water bottle and keys, but of course you forgot the most necessary item. Of course you have to run into your ex right after sweating for an hour. So, you’re pumped up and ready to get the best run of your life in, when all of a sudden leg cramps make it impossible to move. Oh well, there’s always next time.